Do donation drives make a difference? To one family they do. When was the last time you and your family sat down together for dinner? For the Gomez family, each night is an opportunity to break bread together. Only this family’s dinner table isn’t in their home—it’s at St. Vincent de Paul’s Family Evening Meal, and has been for nearly seven years. Juan Gomez first discovered St. Vincent de Paul because of a friend’s recommendation. Juan was looking for after school help for his two youngest children. Being a native Spanish speaker, Juan wanted his children to have access to homework help that he felt he couldn’t provide. After exploring the Dream Center during his visit, Juan discovered that each night dinner is served to hundreds of families in the dining room next to the Dream Center. St. Vincent de Paul’s Family Dining Room is designed specifically for families in need of assistance. Each night, dinner is served restaurant style with a menu of several healthy dinner options to choose from. Volunteers act as waiters that take each table’s order. The goal is to provide a true restaurant experience that gives each family the opportunity to enjoy healthy, nutritious meals together. Shortly after Juan’s initial visit, he began to bring his family each night for dinner. Now, seven years later, dining at St. Vincent de Paul has become a staple for the Gomez family. “When we sit down for dinner at St. Vincent de Paul, I feel happiness,“ Juan says. “This is a place that really cares about people. Volunteers give up their time to come in and make sure someone else is doing well." Juan has a full-time job as a gardener. However, on occasion the family struggles financially, which is why dining at the Family Dining Room each night has become so important. St. Vincent de Paul always offers a warm meal, when otherwise, it might not be in the budget for that week. “Coming to St. Vincent de Paul each night helps me,” Juan explains, “it’s really comfortable to come here and know that there is food, and it’s nutritious. I have a family of four and eating here each night lets me save at least $30 dollars per meal—that’s $150 dollars we save each week because we eat here.” That extra money be spent on bills, school supplies or other things that the Gomez family needs. 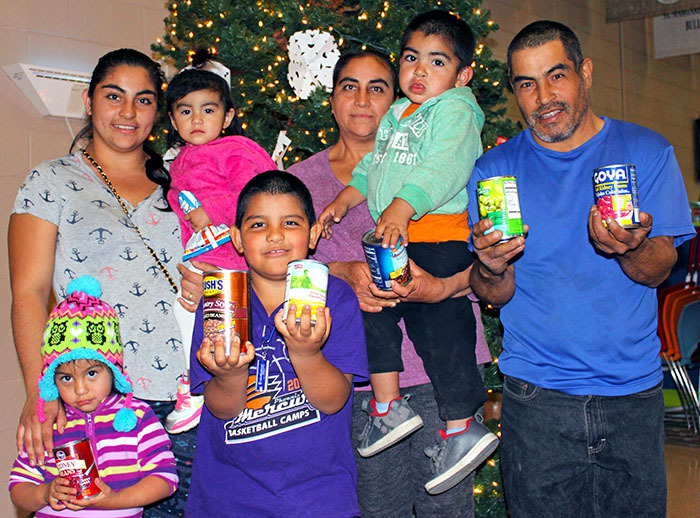 It is stories like the Gomez’s that illustrates the power of food. For many, the financial struggle faced each day may ultimately narrow down to an impossible decision to either pay rent or put food on the table. For these individuals, having a resource to turn to that puts nutritious food on the table, makes an impossible decision easier to make. Last year, St. Vincent de Paul provided more than 1.1 million meals in its five dining rooms, nearly 400,000 emergency food boxes for individuals in need, and more than 55,000 personal home visits for families who called for help. St. Vincent de Paul is able to provide these services because of the community support received throughout the year. By participating in food drives, like the Fox 10 Holiday Food Drive, or hosting one yourself, you can help St. Vincent de Paul feed hungry families all year long. 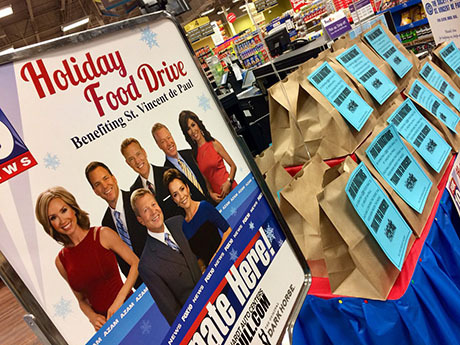 Help Fox 10 and St. Vincent de Paul feed hungry families this holiday season by participating in the Fox 10 Holiday Food Drive. 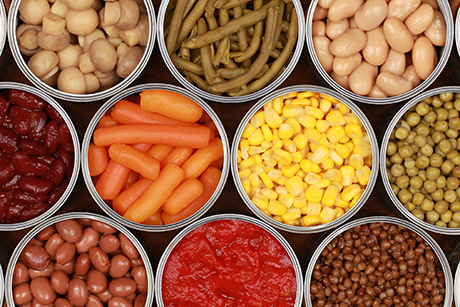 Donate canned foods at your Safeway or Albertsons locations. If you can't make it to a store, you can donate online today. Your dollars will support our food bank, as we fill food boxes for families in need.